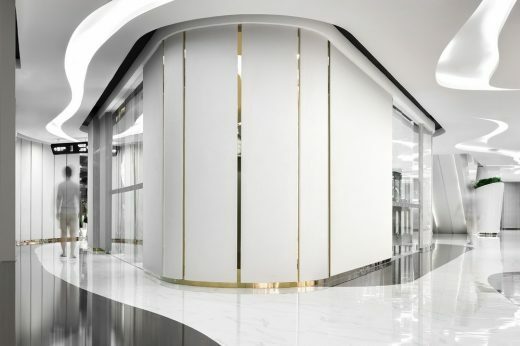 It is a small space with only 60 sqm and there is a big pillar in the middle of it – it’s really a project which requires brainstorming. 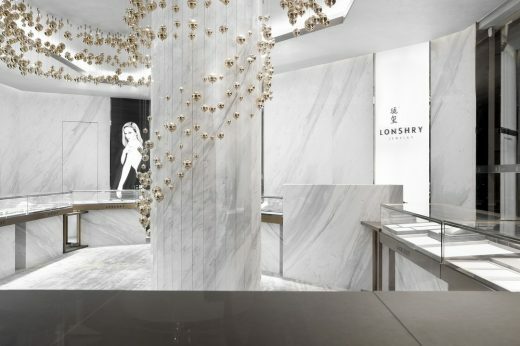 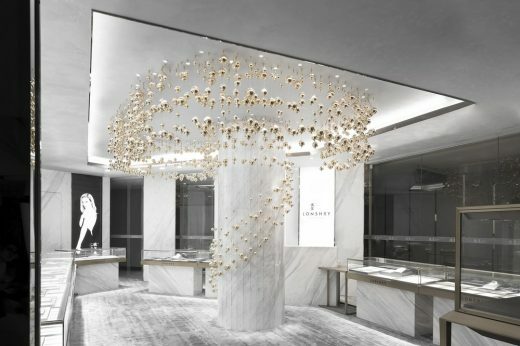 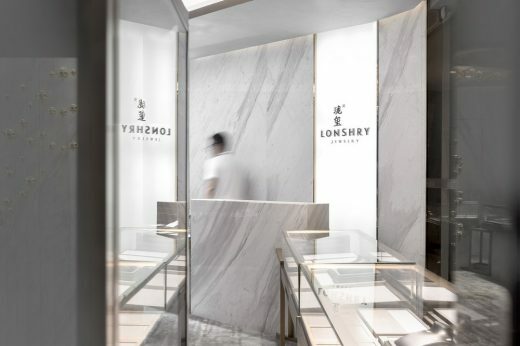 As both the designers and owner hope to make it different with traditional jewelry stores, and reflects the owner’s operation principle of pursuit of fashion, so we intended to design a jewelry store with sensory experience. 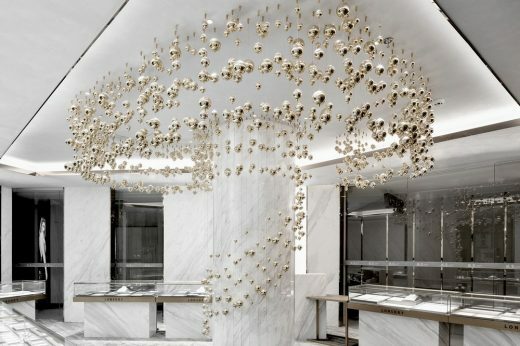 It makes the design more difficult having a big pillar in the middle of this small space, but the designers cleverly designed floating “flowing bubbles” around the pillar, turning the shortcoming of the space into a bright spot, thus adding life to the bland space. 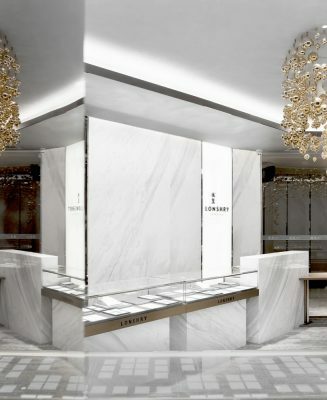 The balance between “restrained” and “open”, “dynamic” and “static”, creatively express the quality of the space and arouse customers’ infinite imagination. 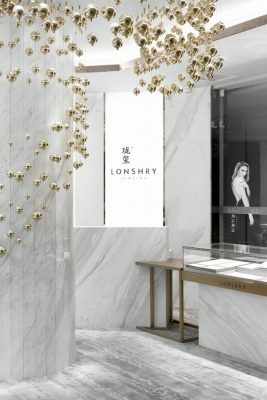 Of course, what we want is attracting pedestrian’s attention in our own way, and reflecting the value of space in a commercial design. 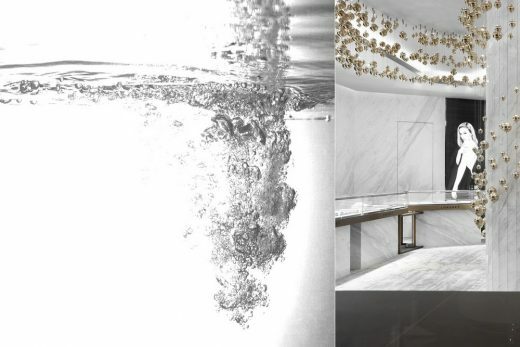 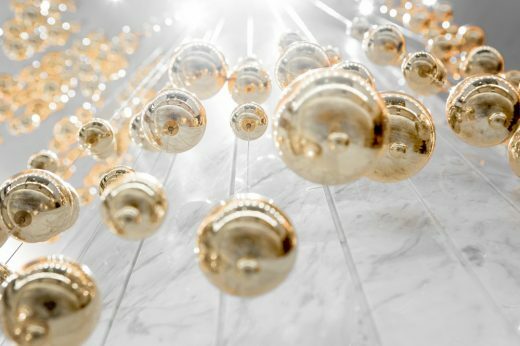 The whole space is harmonious and unified, with quiescent elements like water, and also dynamic elements like bubbles, the relationship between rationality and sensibility are well balanced.